Contact Name: The Hofheins Family welcomes you! 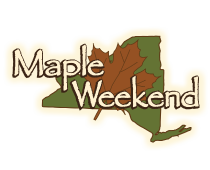 Saturday, March 18th 9 a.m. – 12 p.m.
North Franklin Maple Syrup Co. Contact Name: Mary & Joseph Siler, Sr., Joseph Siler Jr.
all days. we are a full service restaurant open 7 days a week. Schedule Exceptions: Only open the 23rd and 30th.